Eating plenty of cereals and whole grains could reduce the risk of developing colorectal cancer, a study published in British Medical Journal says. Scientists from Imperial College London found that for every 10 g a day increase in fibre intake, there was a 10% drop in the risk of bowel cancer. Researchers’ analysis of 25 previous studies found that fruit and vegetable fibre did not reduce risk. A cancer charity called for more detailed research on the quantity and type of fibre to eat. Eating fibre and whole grains is known to help protect against cardiovascular disease, but experts say that any link with colorectal cancer is less clear because studies have not had consistent results. Reviewing the results of all previous observational studies in this area, researchers in London, Leeds and the Netherlands analysed data provided by almost 2 million people. Researchers’ conclusion, published in the BMJ, is that increasing fibre intake, particularly cereal fibre and whole grains, helps prevent colorectal cancer. Dagfinn Aune, lead study author and research associate in the department of epidemiology and biostatistics at Imperial College London, said their analysis found a linear association between dietary fibre and colorectal cancer. Adding 3 servings (90 g per day) of whole grains to diets was linked to a 20% reduction in the risk of colorectal cancer, researchers said. Cancer Research UK data shows that the lifetime risk of being diagnosed with colorectal cancer in the UK is estimated to be one in 14 (6.9%) for men, and one in 19 for women (5.4%). However, the study said there was no evidence that fibre in fruit and vegetables played a part in reducing risk. A previous study which showed a reduction in risk with high intake of fruit and vegetables suggests that compounds other than fibre in fruit and vegetables could account for this result, said the authors. The researchers also said that the health benefits of increasing fibre and whole grains intake was not restricted to colorectal cancer. “It is also likely to reduce the risk of cardiovascular disease, type 2 diabetes, overweight and obesity, and possibly overall mortality,” they said. Mark Flannagan, chief executive of Beating Bowel Cancer, said the research supported the charity’s current advice. “These results support what we already know about the link between dietary fibre and a reduced risk of bowel cancer, although more work is needed to clarify the quantity and types of fibre we should be eating to reduce risk. “We recommend that people eat a healthy balanced diet that includes plenty of dietary fibre, such as grains, cereals, fruit and vegetables to reduce the risk of developing bowel cancer. Yinka Ebo, senior health information officer at Cancer Research UK, said the review added weight to the evidence that fibre protects against bowel cancer. 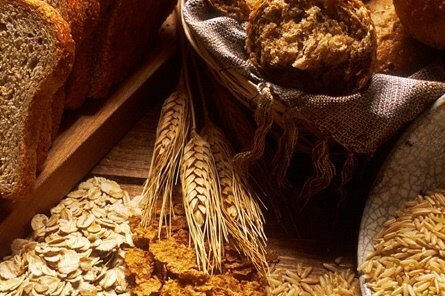 “It shows that certain sources of fibre, such as cereal and whole grains, are particularly important. In an accompanying editorial in the BMJ, Professor Anne Tjonneland from the Danish Cancer Society, said whole grain products should be made more appealing to shoppers. Cancer of the large bowel, also known as colorectal cancer, is a common form of cancer in developed countries – but occurs much less frequently in the developing world.